This solo exhibition creates a surreal vision of nationality and identity, showing the short film ‘The Lion and the Unicorn’ and new series of original print works. Edinburgh Printmakers, 2 Aug–7 Sep.
Walker’s five-minute film draws on themes of hill running to explore our connection to the land. Edinburgh College of Art, 1 Aug–1 Sep.
A sculptural fire poem references the rituals that have long been a feature of the Scottish landscape. The Mound, 1 Aug–1 Sep. This artist, musician and inventor has created an instrument from decommissioned organ pipes, assembled from salvage yards and eBay. Trinity Apse, 1 Aug–1 Sep.
Fifty years on from Paik’s first solo show, he remains an influence on those using technology in art. Talbot Rice Gallery, 9 Aug–19 Oct.
Curators from the Nam June Paik Art Center, Tate and Talbot Rice Gallery discuss the work and legacy of Nam June Paik. 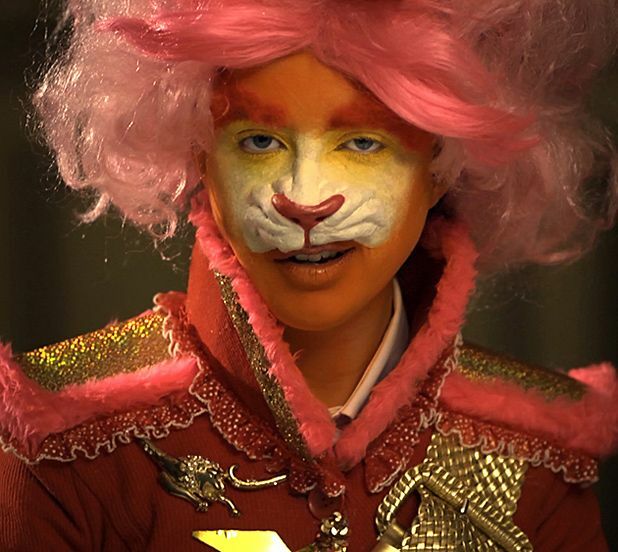 Rachel MacLean keeps up her dizzying output of recent work with I HEART SCOTLAND, a characteristically absurdist take on Scottish identity and national pride, featuring fried breakfasts, lots of tartan, robots in kilts and the protean artist herself playing every character in a short film, The Lion and the Unicorn. Video work on a theme of running. Learn about Scottish history with a little help from artist Rachel Maclean and a dress-up workshop full of arts and crafts activities. Booking is essential. Rachel Maclean talks about her solo exhibition I HEART SCOTLAND and answers any questions you have. An Edinburgh Art Festival Art Late Event.